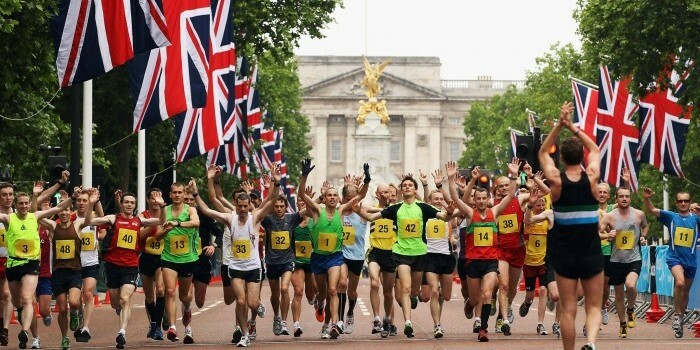 One of the world’s oldest and most popular marathon. 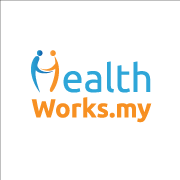 This year will be its 119th year running since 1897. The Boston Marathon starts from Hopkinton, New England to Boylston Street, Copley Square. Almost all veteran runners make Boston Marathon as one of their dream marathon races. However, to qualify for the marathon, racers must qualify with a time (based on age and gender) from another marathon run in the past year and a half in order to be chosen. 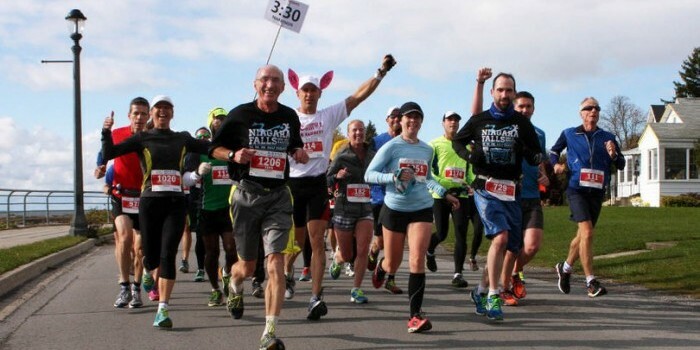 The Niagara Falls International Marathon will be happening on 25 October this year. It will start from Buffalo, New York to Niagara Falls, Canada. So you are traveling to another country too! Of course, be sure to get your travel documents ready before you go for the marathon to ensure you have a smooth run. Can you imagine running towards the stunning view of Niagara Falls? It’s the world’s largest rural and most beautiful marathon. 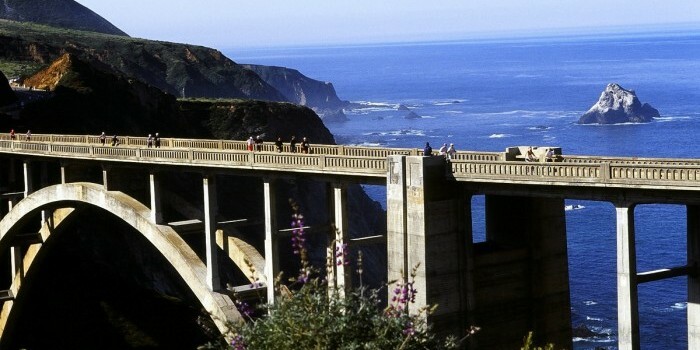 You get to catch breathtaking views of the Pacific Ocean as you run from California along the Pacific Coasts. The Big Sur International Marathon sells out pretty quick so if you really want to join in on the fun, it’s best to book early. Yes, there is a Disney marathon too! The trail for the Walt Disney World® Marathon will take to you through all four Walt Disney World® Theme Parks, ESPN Wide World of Sports Complex and the Walt Disney World® SPEEDWAY. 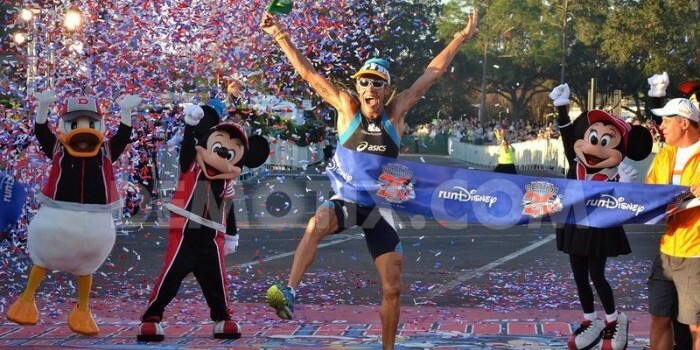 You’ll spot some Disney characters cheering you on from the sidelines. It’s also a great marathon for beginners because it’s timer-friendly. One of the world’s most popular marathon, the TCS New York City Marathon will take you around the hustle and bustle of the Big Apple’s five boroughs. The finishing line will be in Central Park so if you’re a fan of urban landscapes then this race is for you. Want to run among the lakes and mountains? 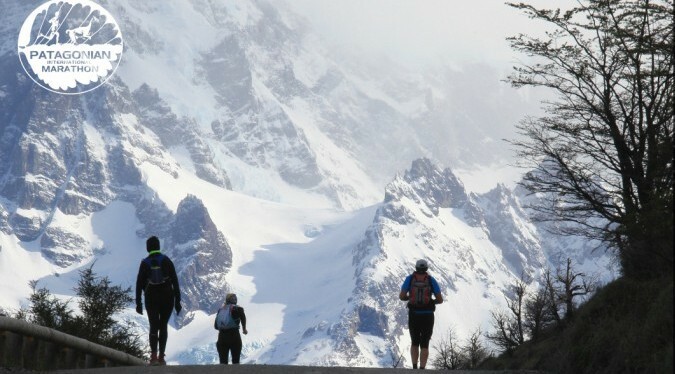 Then, make your way to Torres del Paine National Park, Chile for the Patagonian International Marathon. The marathon aims to bring awareness to the conservation of Chilean Patagonia, and contribute to the sustainable development of the region. So for every runner who joins the race, a tree will be planted in the Torres del Paine National Park through Corre y Reforesta campaign. The campaign’s purpose is to raise awareness of the importance of preserving and contributing to the reforestation of native trees in Chilean Patagonia. Named as “The Most Difficult Marathon in the World”, this South American trail will start from Peru’s Cusco will take you to mountain terrain at altitudes ranging from 8,000’ to 13,779’ which is not for the faint hearted. The Inca Trail Marathon to Machu Picchu actually follows the original pilgrimage trail that leads all the to Machu Picchu. 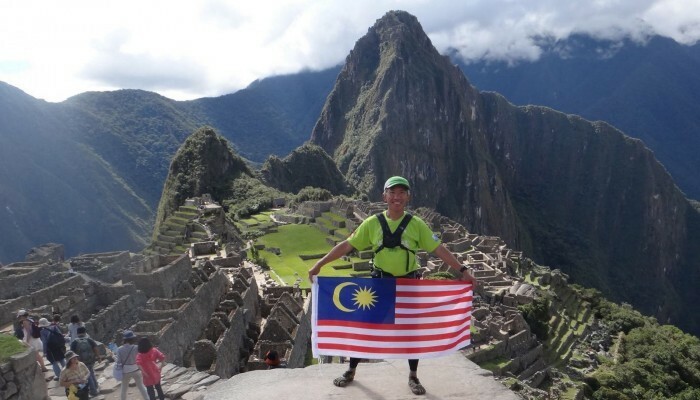 Sean is one Malaysian who managed to complete this challenging marathon. Spots for this marathon is limited so book in advance. Run and climb 5,164 steps of the Great Wall in Tianjin, China in one of the most challenging marathons in the world. The Great Wall Marathon will take you to breathtaking views of the Great Wall and through villages where the townspeople will cheer you on as you race by. The Tokyo Marathon starts outside of the Tokyo Metropolitan Government building and ends at the Tokyo Big Sight, a convention institution. You might get chocolates and other snacks from the warm and energetic supporters as you run past the Imperial Palace and the Asakusa Kaminarimon Temple Gate. 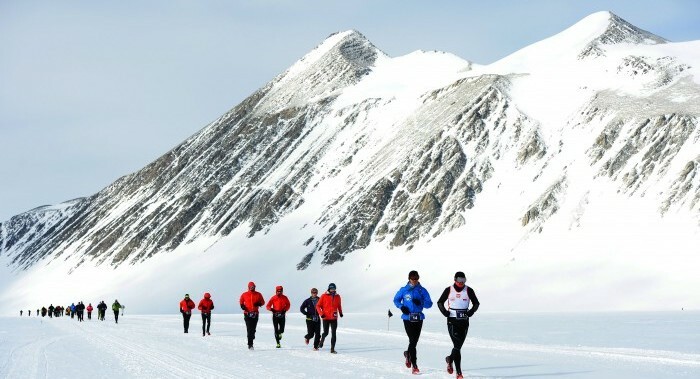 If you want a bigger challenge then take on the Antarctic Ice Marathon, Antarctica. It’s truly a formidable challenge as you race through snow, ice and strong winds that could go as low as -20C. There won’t be penguins to cheer you on as penguins can’t live that far south. It will just be you, the other racers and the quiet, snowy mountains. Race in Australia’s Red Earth where you get to see enormous Ayer’s Rock and Kata Tjuta (The Olgas) on the way. 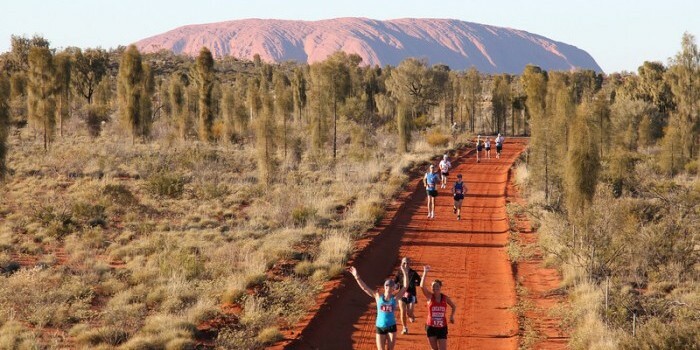 The Australian Outback Marathon is a pretty cool way to explore the outback too! 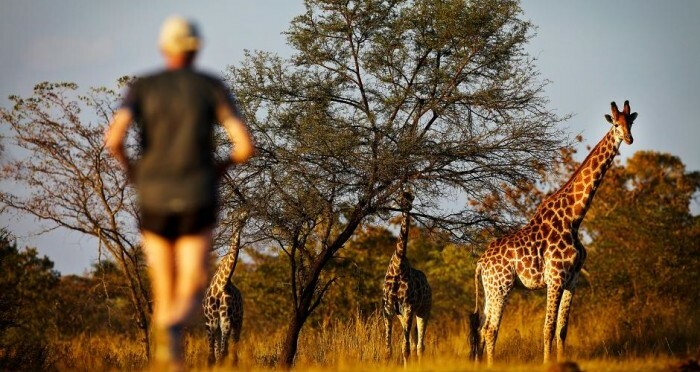 Every year in Limpopo, South Africa, the Big Five Marathon will let its racers to race inside of a Savannah. You will be passing by the elephant, rhino, buffalo, lion and leopard habitats with no barriers or fences to protect you. 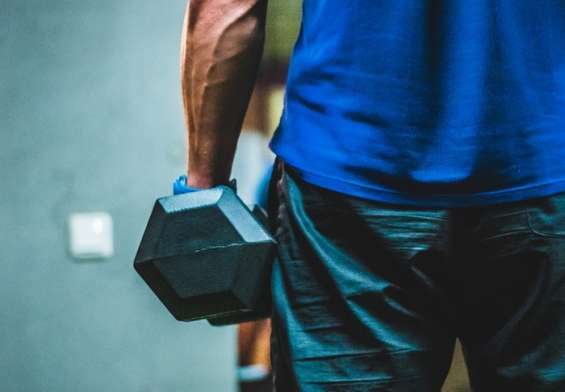 Which will help you run faster in a way. The Athens Marathon starts in the town of Marathon which got its name from the legend of Greek messenger, Pheidippides who ran from Marathon to Athens to deliver news of the Athenian victory at the Battle of Marathon. Once you spot the arches of the Panathenaic Stadium where the first modern Olympic Games were held in 1896, then you know you are reaching the finishing line. 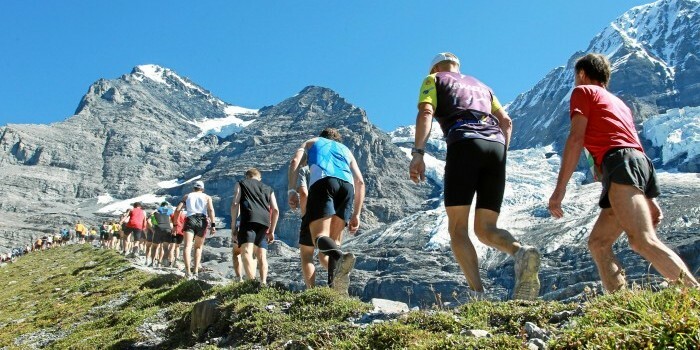 Test your stamina as you ascend the Eiger, Mönch and Jungfrau mountains trails, some of the most amazing mountain ranges in the world in the Jungfrau Marathon. It would be a hard race but seeing panoramic views at 2,100 meters above sea level makes it all worth it! The Marathon Du Medoc in Pauillac, France is one unique marathon experience that you don’t want to miss! With a different dresscode every year, the racers are dressed in funky outfits and will be running through rural vineyards and villages. Another unique thing about this marathon, wine is served at the drinks station, there would be a cheese station and even performance at different pit stop. 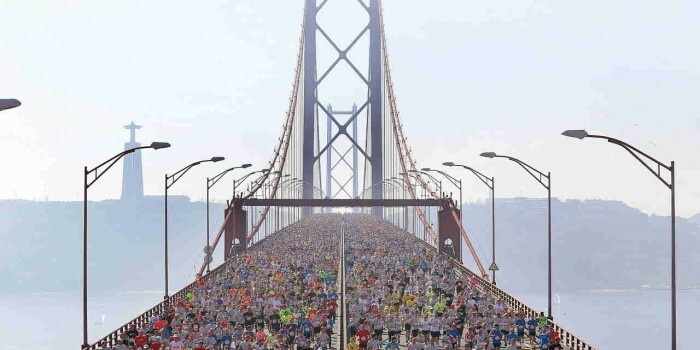 If you’re heading to Lisboa, Portugal this year, why not try out for the Rock ‘n’ Roll Maratona de Lisboa. There will be live bands lined up throughout the trail and there’s even a rock concert at the finishing line. Cover 3 countries when you participate in the Sparkasse Marathon der 3 Länder. The race begins in Lindau Island, Germany then it heads to towns in Austria such as Lochau, Bregenz, Hard and Höchst. After that you will continue to St Magreten at the Swiss border, and it finishes at Bregenz. Grab your sunnies and head to Tromsø, Norway in June for the Midnight Sun Marathon. The race starts at 8.30pm but there will be daylight for 24 hours so be sure to load up on SPF! 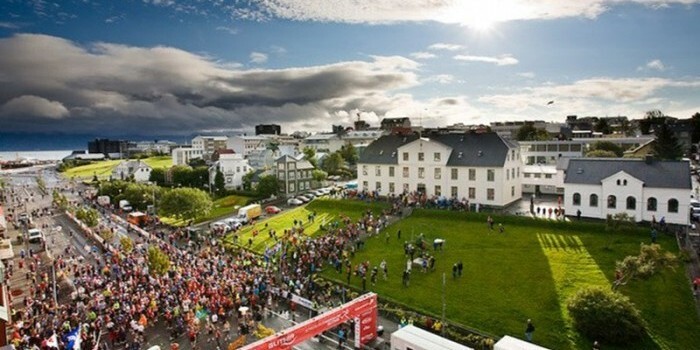 Make your way to Reykjavik, Iceland for the Islandsbanki Reykjavík Marathon. Breath in the clean, fresh air as you race through woodlands and snow-covered mountains. Take a tour around London, England with the racers in the Virgin Money London Marathon, one of the largest marathons in the world. You will pass by famous landmarks such as Big Ben, the Tower of London, the London Eye—and run along the River Thames and across the Tower Bridge too! Then hit the finish line outside of the Buckingham Palace. From our list, which is your next marathon target? We would love to know your marathon plans so do feel free to share them here or on our Facebook page!